Information about property taxes, tax abatement and tax relief is available through the Town Tax Collector’ page. MapGeo is an online map where you can view property card information, along with other information related to zoning, land use, natural resources, transportation projects, and socioeconomic factors in Rollinsford and the region. Use the “Search” button to find properties by owner name, address, or parcel ID, or click a parcel on the map to get its property card record. Additional, click the “Themes” button to view the available data layers, and toggle each on and off. Information about tax maps and assessment cards is available on the Assessment page. Are you thinking of improving your house, either inside or out? Doing some excavation or grading of your property? Upgrading your electrical service? If the answer is YES, you probably need a building permit. There are two instances where a permit is NOT required: installing a fence around your yard (outside view on your neighbor’s side, please), or painting, repairing/maintaining an existing structure where the cost is less than $1,500. Building permits are available to download here or a paper copy can be obtained at town hall. Our Town Administrator will be happy to help you with the form. The Select Board will start the review process of the building permit at the following meeting. The Board looks to ensure that the plans are in compliance with setbacks and other zoning regulations. The form will ask you for the value of the planned construction/improvement. The fee for the building permit is $10 per $1,000 of value plus a $25 administrative fee. 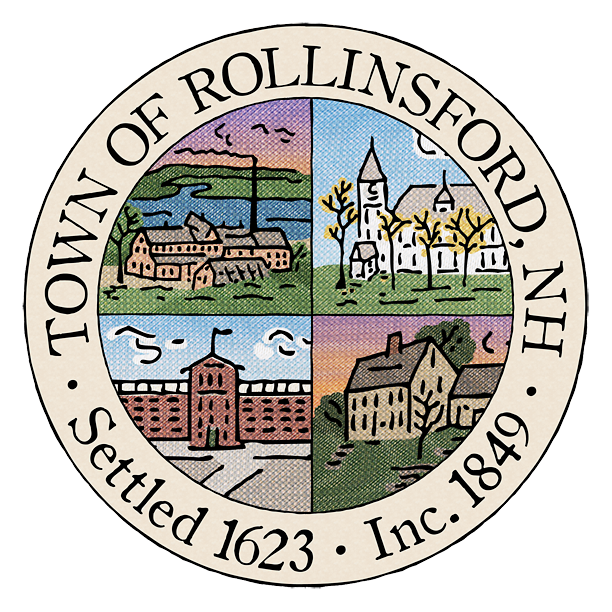 Rollinsford Zoning Ordinance on Building Permits. Effective January 1, 2011, the State of NH requires owners of rental property to provide certain information to the municipality in which the property is located. Please click here to access the necessary form and additional information. FEMA Flood Insurance Rate Maps for the Town of Rollinsford (2014). The Town of Rollinsford has been an EPA MS4 permittee since 2004. (MS4 stands for Municipal Separate Storm Sewer System). As a permittee, we are expected to keep the town informed regarding the effects of storm water and its environmental impacts. The Select Board has contracted with Public Water Systems Services, LLC to provide Rollinsford with the identification of the town’s outfalls (locations where stormwater empties into a river, lake, etc.) and to identify, sample and assess the town’s storm drains. To this end, you will be seeing PWSS staff and our road agent in the process of accomplishing this. The Town of Rollinsford has been an EPA MS4 stormwater permittee since 2003 and as a permittee is required to complete progress on an agreed-upon plan. The MS4 permit is in the process of being revised with an anticipated issue date of September 2016. The revised permit will be more restrictive in nature and the work being done by PWSS is a start toward fulfilling the town’s obligations. The Board is also in the process of forming a stormwater committee in order to plan and oversee our work on the MS4 permit. If you are interesting in serving on such a committee please send an email (or otherwise contact the town).